Fun Drinking Game: Take a shot every time Brad feels sorry for his overly privileged self. You’re guaranteed to forget you sat through two hours of his unbearable whining. 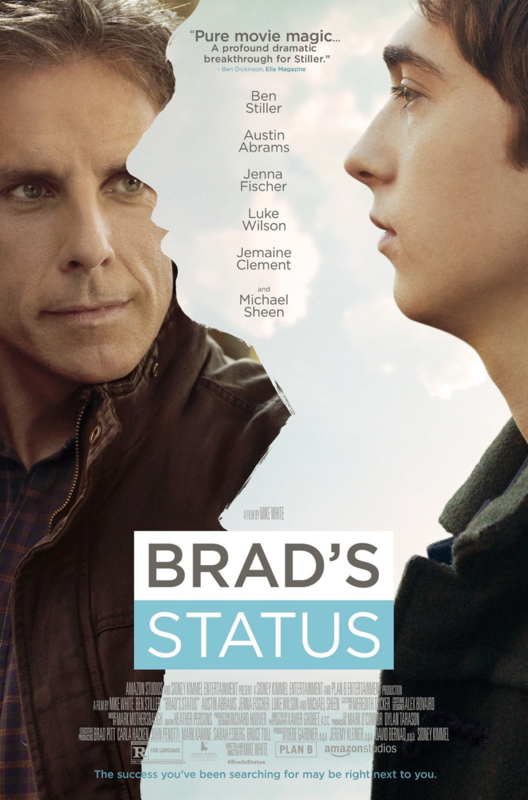 BRAD’S STATUS offers nothing but an undeniably arrogant, pompous, and egotistical perspective on life, love, and missed opportunity. Written and Directed by Mike White (YEAR OF THE DOG and HBO’s ENLIGHTENED) BRAD’S STATUS follows 40-something Brad Sloan as he grapples with his insufferable need to be as successful as the noteworthy public figures that were once his college buddies. Brad lives a humble life in a quiet neighborhood of Sacramento with his loving wife, Melanie, and son, Troy, who is actively applying to colleges. Brad’s character arc plays out over the course of a cross-country college visit with Troy, an aspiring musician and the film’s sole voice of reason. If White’s goal was to create a satirical profile of the socially unaware, white privileged, cisgender male, then he has succeeded. However, his failure to establish a sense of growth from the seed of resentment he plants in the audience’s mind makes BRAD’S STATUS unrelatable and over-the-top eyeroll-inducing. From his first introduction on screen, Brad makes it very clear that he is not gonna make it easy for us to root for him. He’s self-loathing and absurdly ungrateful for the privileged life that he leads—for Christ’s sake, he casually mentions to Melanie that their financial burdens would be relieved if her parents died and left them their fortune. We are then taken through his mental rolodex of college friends, who are seemingly more successful than Brad in every aspect: endless money, beautiful women, power, and glory. No matter how hard he tries, he’s unable to keep himself from comparing his life to theirs and herein lies his greatest internal struggle. He’s unable to come to terms with his own insecurities and projects his failings onto those around him, mostly his wife and Troy. Yo Dad, I’m like about to get into Harvard nbd. You mind putting your mid-life crisis on hold for a quick sec? Thanks. The film gains momentum when Brad and Troy begin their cross-country journey to visit east coast elite universities. 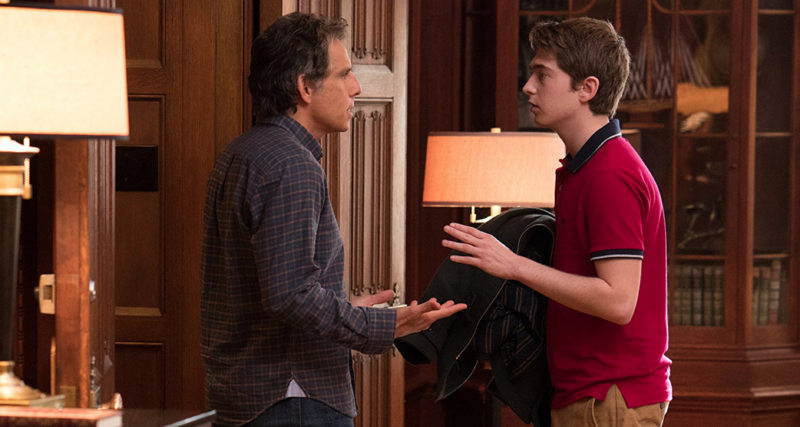 Troy reveals his hopes of attending Harvard in the fall, and rather than expressing excitement towards his son’s budding ambition, Brad takes this news and turns it into another excuse to point out his own disadvantage as a father who might not be able to support his son through college. However, after his pity fest, the two share a sweet moment where a tenderness in their predominantly tense relationship is planted. In this moment, we see a Brad that has a chance at growing and looking beyond himself and his perceived insufficiency. It admittedly tugged at my heartstrings and I couldn’t help but think of my own dad and how emotionally taxing it must have been to deal with empty nest syndrome. The next day we see Brad faced with a dilemma: Troy has mixed up the days for his Harvard interview and now he must make a call to one of his old friends to see if he can get Troy a makeup interview. Seems simple enough—sure, it may be awkward, but you do what you can to give your child a leg up against the competition. Rather than jump at the chance to help his son, Brad goes on a long and overwhelming tangent about his own insecurities and how he feels he could never match up to the success and acclaim of his friend. After heavy contemplation, Brad decides to make the call and succeeds in getting his son a makeup interview with the dean of admissions AND a music professor his son admires. It’s a small win for Brad, who gets a pretty big ego boost seeing his son respond so positively to the news. You’d think it’d be enough to have the admiration of your son, but no, Brad wants the world. He goes so far as to say that the world is hateful towards him. Oh really, Brad? Your son might get into Harvard, but no, it’s YOUR party and you’ll cry if you want to (and believe me, he wants to). Do you ever think there’s more to life than being really, really, really ridiculously self-loathing? What follows is a sequence of scenes that are best described as desperate, sleazy, and uncomfortably perverted. Brad accompanies Troy to a dinner with a friend and current Harvard student currently in her second year, Ananya. 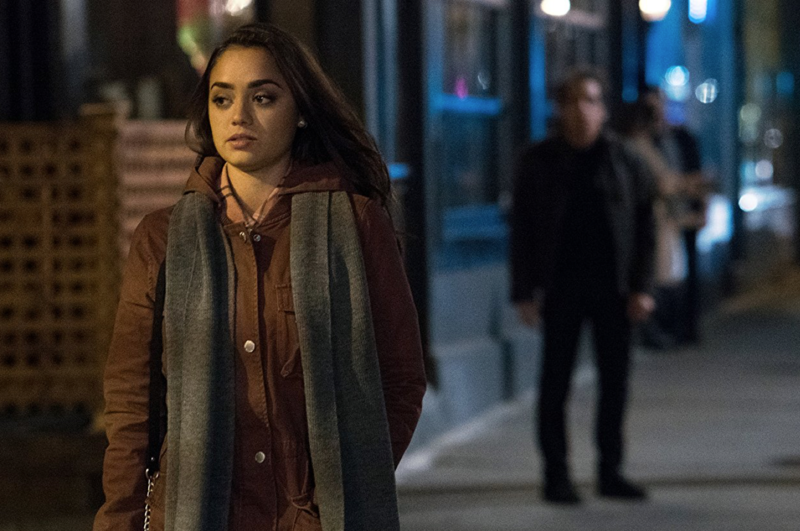 Over the course of their conversation Troy brings up his dad’s friend who has gotten him an interview, and Ananya admits that she has some contempt for him, as she was a student in one of his classes and thought of him as a condescending prick. Brad gets noticeable satisfaction from hearing this, as if it was the validation he needed in terms of his successful friends not being all they’re cracked up to be. After their dinner Ananya invites the pair for drinks, which they kindly decline. Later, Brad slips out of the hotel and shows up at the bar which Ananya announced she and her friends would be at. The two spark a conversation that eventually turns prophetically on the nose as Ananya becomes a mouthpiece for the audience as she scolds Brad for taking his immense privilege for granted. It’s the confrontation Brad never expects to come up against, but must experience in order to begin the road towards self-discovery and claiming responsibility for his own shortcomings in life without projecting his failures onto others. The latter half of the film feels as if it is going in fast-forward motion. First, Brad confronts his college friend face to face and realizes he has been searching for the approval of someone who has not given him a second thought since college. Second, Brad and Troy resolve their tensions over the course of the trip and come to a deeper understanding of each other’s perspectives. Third, Brad comes to peace with himself and accepts that the world might not be completely his, but that he has the love of those around him—all that glitters is not gold. In short, he’s abandoned his internal quest to prove himself to the world and is choosing to find security in the small, yet meaningful life he has created for himself. In a world currently on the brink of catastrophic demise, BRAD’S STATUS offers nothing. While the film’s melancholy narrative falls short, I feel it is only fair to mention the elements of the film that worked. 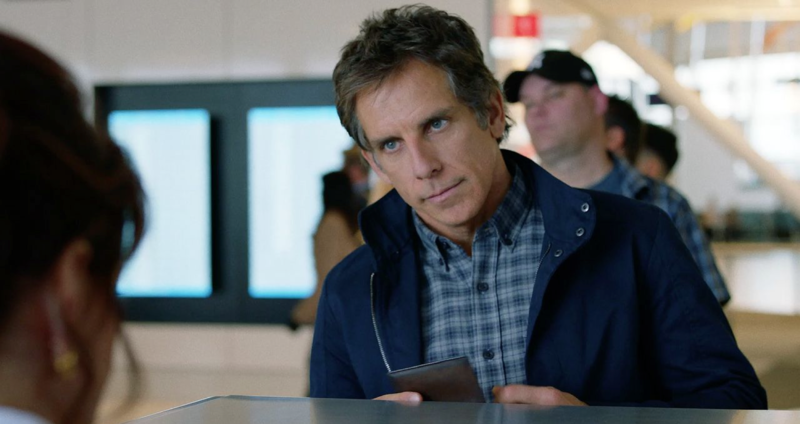 First, Ben Stiller’s performance as the disenfranchised Brad is a career highlight that proves he’s not only a comedic actor, but a truly talented dramatic actor, able to captivate audiences and move them to look within. While the performances and the social commentary on privilege and disadvantage make the film enticing enough to remain in your seat, albeit in a state of constant irritation, its juxtaposition to the current state of global affairs makes it hard to sympathize with the #firstworldproblems of the characters. Below is a list of organizations that need your support to offer relief to those suffering through the aftermath of various natural disasters. I urge you to reallocate the funds you would have used to sit through this train wreck and put it towards the service of others. The world could use less “Brads,” and it starts with you! Omar Cabezas is a Crossfader intern, aspiring writer, and social media junkie representing the 818. He has two goals in life: create original content for HBO and own a French bulldog(s). He is currently coming to terms with Netflix taking away his only life source, 30 ROCK.